Pearson Medical Technologies, LLC, provides safe efficient pharmacy automation and medication administering solutions to hospital, long term care, retail pharmacies, and institutional facilities around the world. The Pearson family pioneered innovative pharmacy automation solutions beginning over 50 years ago. It all started when an over-eager salesman interrupted Walter G. Pearson while he was manually counting pills to fill a prescription. “Mr. Pearson, I have the best product here since sliced bread,” interrupted the salesman. Aggravated that he had lost his pill count, Walter Pearson replied, “Well, if you think your product is good, then I am going to create a pill counter so I won’t get interrupted by salesmen.” Without missing a beat, the salesman said, “If you do, I will sell it!” This was the genesis for the creative process that led to the first United States Patent granted in 1966 to Walter Pearson for what came to be one of the first automated high speed pill counters in the US — the Baker Cell® Pill Counter — the standard for automated dispensing systems throughout North America for decades. Now, Brent Pearson – the second generation of the Pearson family – and the Pearson Medical Technologies team continue to pioneer safe efficient pharmacy automation and medication delivery solutions for unit dose packaging and multi-dose packaging, including developing the first stand-alone pharmacy bar code labeling software with a complete drug database with pill images in m:Print® Bar Code Labeling Software and patenting “no crush” technology in the iPackRx® Unit Dose Packager. 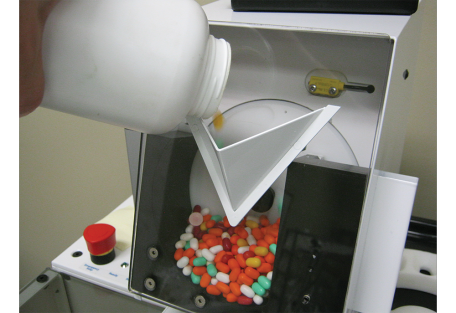 With over 250 hospital, retail, and long-term care pharmacies in the United States using one of Pearson’s unit dose packaging and multi-dose packaging systems, including the iPack®Rx Unit Dose Packager, intelliCount® Automated Universal Tablet/Capsule Feeder, m:Print®Bar Code Labeling Software, the SafeSealRx® Unit Dose Heat Press, and the IP128APS and IP256APS Automated Packaging System, Pearson Medical has moved beyond “pill counting” to develop high value and affordable solutions for unit dose and multi-dose packaging, bar coded pharmacy labeling, and medication administering systems — all designed to meet the safety and efficiency requirements of hospitals, pharmacies, and patients of today. Pearson Medical’s commitment to innovation, quality service, patient safety and the needs of pharmacists and patients is present in all our products and services. 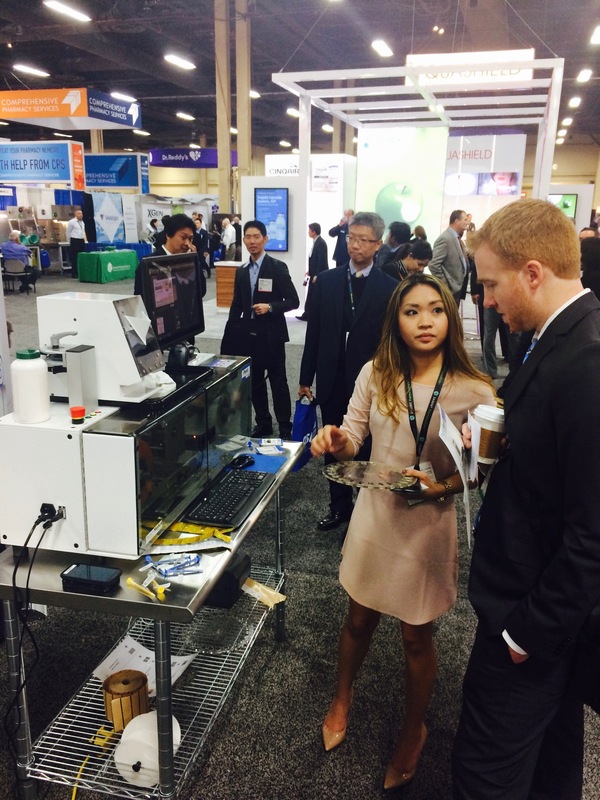 Discover Pharmacy Automation with PMT!